Silver Carved Metal Pendulum has a beautiful weaved chain. The ball on the other end helps in holding the pendulum firmly. 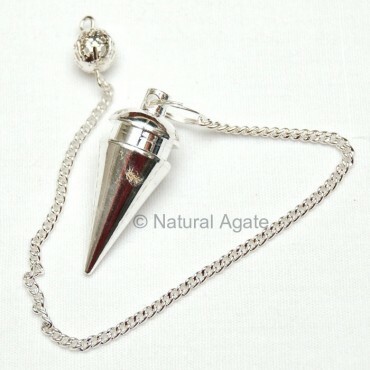 Natural Agate ensures high quality pendulums.